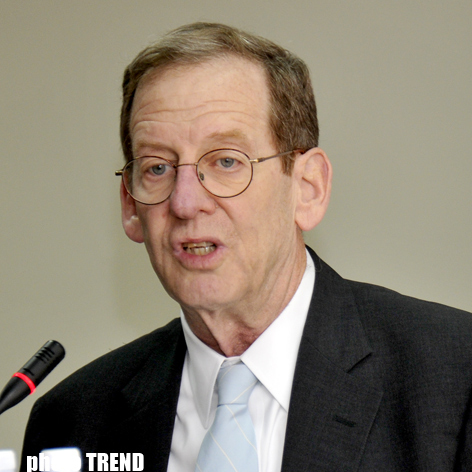 United States believe that Turkey and Azerbaijan will reach an agreement, so that confidence in the Southern Corridor is not undermined, told US Special Envoy for Eurasian Energy Richard L. Morningstar, answering Trend 's questions. 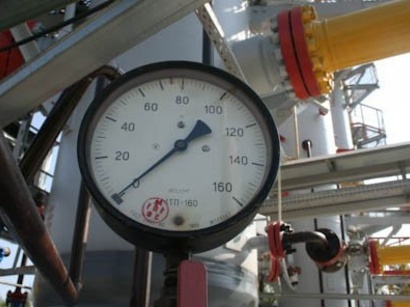 He stressed that, the failure of Turkey and Azerbaijan to conclude an agreement on Shah Deniz gas purchase and transit is somewhat disappointing. "Both countries are good friends of the US, and we do not take sides in their negotiations. But significant further delays could see the window of opportunity for putting in place this key piece of a Southern Corridor close. It is hard to see how that would serve the interests of either side" - he added. On January 28th, Ambassador Morningstar was offered the first comprehensive public statement of Obama administration policy on this subject at the Center for American Progress (CAP) in Washington DC. 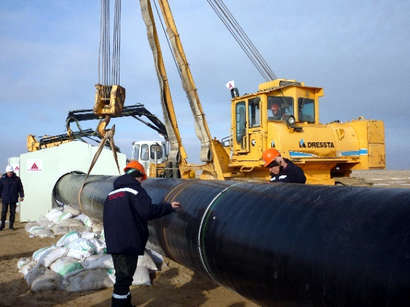 According to Trend 's Washington correspondent, Mr. Morningstar expressed Washington's support opening a new corridor, a Southern Corridor, to bring natural gas from the Caspian region to Europe. "This corridor could include Nabucco and the Turkey-Greece-Italy Interconnector. Both are important from a strategic standpoint to diversify gas sources and open new supply routes to Europe. A Southern Corridor would provide commercial benefit for the countries of the Caucasus and Central Asia and also create a long-term partnership based on mutual interests with Europe" - he said. 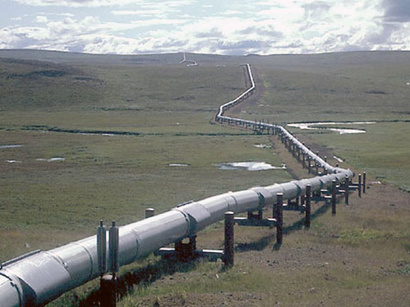 According to the US official, Washington focused on two areas: "encouraging an agreement between Turkey and Azerbaijan on Shah Deniz gas, and encouraging producing countries of Central Asia and the Middle East to supply gas to the corridor". "Now, let me be clear, the concept of a Southern Corridor is simply not viable if countries that stand most to benefit from that concept cannot reach commercially sensible, mutually advantageous agreements on the terms under which gas for the Corridor will be transported" - he stressed. Event organizers - CAP stressed that, the Eurasian region is critical to US energy security. With its abundant natural resources and large economic base, Eurasia presents opportunities to address supply concerns and to develop new markets. However, as the gas disputes between Russia and Ukraine have demonstrated, it is also the locus of important challenges to the interests of the United States and our allies. 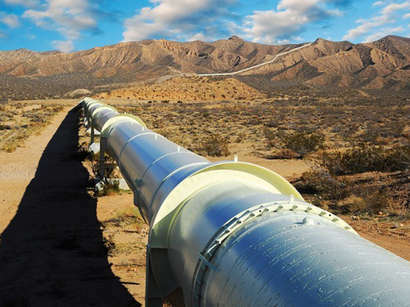 According to Morningstar, natural gas will continue to be an important fuel for the future. As the world looks to reduce carbon emissions and meet climate change goals, demand for clean burning gas will likely increase. He also added that, new natural gas productions - Azerbaijan and Turkmenistan is unlikely to reach the US, but it is still important because it would add to international gas supply, increasing global energy security. highlight a couple of them here" - he noted. Mr. Morningstar also spoke about the possibility of Iraq to joint Nabucco. "Iraq needs to define its own national energy strategy and to develop a comprehensive plan for how much gas will be needed for domestic use. That will open the way for a rational discussion of exports, some of which could feed into a Southern Corridor. In that regard, I'd like to caution that the US will not support gas - or new oil - exports from Iraq that does not have the sanction of Iraq's central government. Those who conclude agreements in the absence of such conditions should understand, as recent events demonstrate, the serious risks to which they are exposing themselves and their shareholders". In addition to Iraq, Washington also is encouraging Turkmenistan to pursue shipment of its gas across the Caspian. providing gas to Europe as part of Turkmenistan's efforts to diversify its export routes" - ambassador Morningstar added. address Iran's nuclear program are underway".